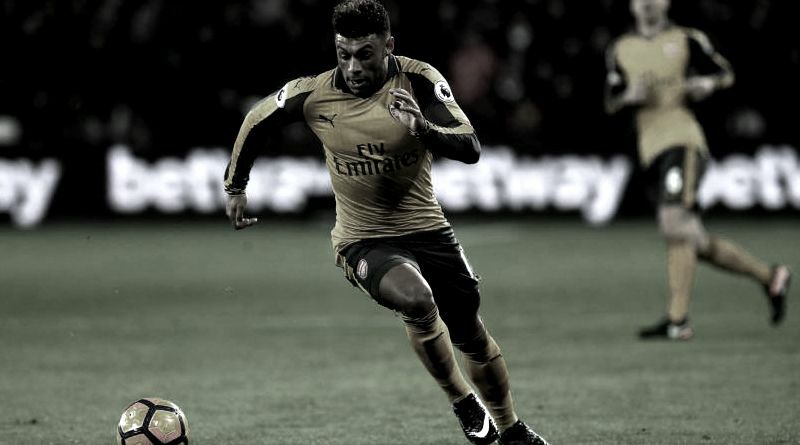 Manchester United are eyeing summer move for Arsenal winger Alex Oxlade-Chamberlain, according to the football transfer rumours in British Media. Alex Oxlade-Chamberlain has joined Arsenal from Southampton for a fee in the region of 13.8 million euros in August 2011. The 23 year-old has a valid contract with Arsenal until the June 2018. Since his arrival from Southampton, Alex Oxlade-Chamberlain has scored 20 goals and provided 28 assists in 181 games for Arsenal, including six goals and seven assists in 32 games in all competition this season. Alex Oxlade-Chamberlain has also represented England at Under-18, Under-19 and Under-21 level, winning 12 caps across all age groups and scoring four goals. Since May 2012, he is a member of England national football team, winning 24 caps and scoring five goals. The 23-year-old is considered to be one of the best wingers in the Premier League, but he can operate in the center midfield position too. Alex Oxlade-Chamberlain has been long term target of José Mourinho as the manager look to bolster his midfield options for the next season. José Mourinho sees the England international as a perfect replacement to Micheal Carrick, who will turn 36 in July.